Dave Roberts, current manager of the Los Angeles Dodgers (pictured here during his playing career with the club). The Los Angeles Dodgers are a Major League Baseball team that plays in the National League Western Division. The Dodgers began play in 1884 as the Brooklyn Atlantics and have been known by several nicknames since (including the Grays, Grooms, Bridegrooms, Superbas, and Robins), before adopting the Dodgers name for good in 1932. They played in Brooklyn, New York until their move to Los Angeles in 1958. During the teams existence, they have employed 31 different managers. The duties of the team manager include team strategy and leadership on and off the field. # A running total of the number of Dodgers managers. Any manager who has two or more separate terms is counted only once. Don Mattingly, former manager of the Los Angeles Dodgers from 2011 to 2015.
a A running total of the number of Dodgers managers. Thus, any manager who has two or more separate terms is counted only once. 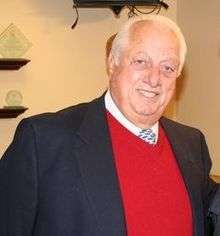 b Tommy Lasorda won the Manager of the Year Award in 1983 and 1988. "Los Angeles Dodgers Managerial Register". Baseball-Reference.com. Sports Reference LLC. Retrieved 2009-11-16. "Dodgers All-Time Managers". Los Angeles Dodgers. Retrieved 2009-11-16. ↑ "Manager: Definition | Dictionary.com". Dictionary.Reference.com. The American Heritage Dictionary of the English Language. 2006. Retrieved 2008-12-29. ↑ "George Taylor Managerial Record". Baseball-Reference.com. Sports Reference LLC. Retrieved 2009-11-16. ↑ "Charlie Hackett Managerial Record". Baseball-Reference.com. Sports Reference LLC. Retrieved 2009-11-16. ↑ "Charlie Byrne Managerial Record". Baseball-Reference.com. Sports Reference LLC. Retrieved 2009-11-16. ↑ "Bill McGunnigle Managerial Record". Baseball-Reference.com. Sports Reference LLC. Retrieved 2009-11-16. ↑ "John Montgomery Ward Managerial Record". Baseball-Reference.com. Sports Reference LLC. Retrieved 2009-11-16. ↑ "Dave Foutz Managerial Record". Baseball-Reference.com. Sports Reference LLC. Retrieved 2009-11-16. ↑ "Billy Barnie Managerial Record". Baseball-Reference.com. Sports Reference LLC. Retrieved 2009-11-16. ↑ "Mike Griffin Managerial Record". Baseball-Reference.com. Sports Reference LLC. Retrieved 2009-11-16. ↑ "Charles Ebbets Managerial Record". Baseball-Reference.com. Sports Reference LLC. Retrieved 2009-11-16. ↑ "Ned Hanlon Managerial Record". Baseball-Reference.com. Sports Reference LLC. Retrieved 2009-11-16. ↑ "Patsy Donovan Managerial Record". Baseball-Reference.com. Sports Reference LLC. Retrieved 2009-11-16. ↑ "Harry Lumley Managerial Record". Baseball-Reference.com. Sports Reference LLC. Retrieved 2009-11-16. ↑ "Bill Dahlen Managerial Record". Baseball-Reference.com. Sports Reference LLC. Retrieved 2009-11-16. ↑ "Wilbert Robinson Managerial Record". Baseball-Reference.com. Sports Reference LLC. Retrieved 2009-11-16. ↑ "Max Carey Managerial Record". Baseball-Reference.com. Sports Reference LLC. Retrieved 2009-11-16. ↑ "Casey Stengel Managerial Record". Baseball-Reference.com. Sports Reference LLC. Retrieved 2009-11-16. ↑ "Burleigh Grimes Managerial Record". Baseball-Reference.com. Sports Reference LLC. Retrieved 2009-11-16. 1 2 "Leo Durocher Managerial Record". Baseball-Reference.com. Sports Reference LLC. Retrieved 2009-11-16. ↑ "Clyde Sukeforth Managerial Record". Baseball-Reference.com. Sports Reference LLC. Retrieved 2009-11-16. 1 2 "Burt Shotton Managerial Record". Baseball-Reference.com. Sports Reference LLC. Retrieved 2009-11-16. ↑ "Ray Blades Managerial Record". Baseball-Reference.com. Sports Reference LLC. Retrieved 2009-11-16. ↑ "Chuck Dressen Managerial Record". Baseball-Reference.com. Sports Reference LLC. Retrieved 2009-11-16. ↑ "Walter Alston Managerial Record". Baseball-Reference.com. Sports Reference LLC. Retrieved 2009-11-16. ↑ "Tommy Lasorda Managerial Record". Baseball-Reference.com. Sports Reference LLC. Retrieved 2009-11-16. ↑ "Bill Russell Managerial Record". Baseball-Reference.com. Sports Reference LLC. Retrieved 2009-11-16. ↑ "Glenn Hoffman Managerial Record". Baseball-Reference.com. Sports Reference LLC. Retrieved 2009-11-16. ↑ "Davey Johnson Managerial Record". Baseball-Reference.com. Sports Reference LLC. Retrieved 2009-11-16. ↑ "Jim Tracy Managerial Record". Baseball-Reference.com. Sports Reference LLC. Retrieved 2009-11-16. ↑ "Grady Little Managerial Record". Baseball-Reference.com. Sports Reference LLC. Retrieved 2009-11-16. ↑ "Joe Torre Managerial Record". Baseball-Reference.com. Sports Reference LLC. Retrieved 2010-01-07. ↑ "Don Mattingly Managerial Record". Baseball-Reference.com. Sports Reference LLC. Retrieved 2011-04-05. ↑ Gurnick, Ken (November 23, 2015). "Roberts is Dodgers' pick to be manager". mlb.com. Retrieved November 23, 2015. ↑ "MLB Awards (Manager of the Year)". Major League Baseball. Retrieved 2009-11-16.